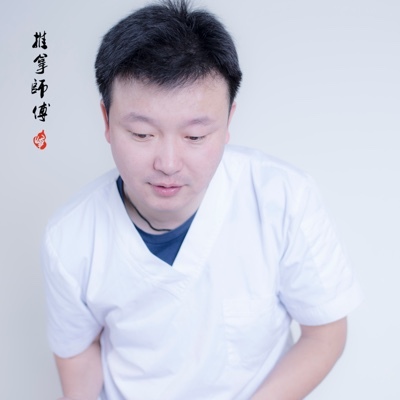 “Johnny Minglei Shi contributes his profession as a Registered Acupuncturist in Osteo Tuina. He owns solid knowledge of Meridian and five-elements theories, which assist him bringing accurate Chinese Medicine diagnosis from patients’ complexion, pulse, tongue or birthday. In the picture, he firstly assessed patient’s situation by pulse diagnosis, then entered the patient’s meridian system by manipulating the needles to release the joint obstructions, then he provided the Detox Scraping and Bleed Letting to remove the blood stasis in order to relieve the shoulder pain. His Acupuncture Manipulation and Acupressure technique is effective and therapeutic for chronic and debilitating situations, which considered as an alternative way from the western medication / treatment. He focuses on boosting one’s energy and reducing one’s emotional stress in a timely manner. He is good at increasing sleep quality, sorting digestive problems, relieving the lower back pain and easing the menstruation discomfort. Registered Acupuncturist and Manual Osteopathic Practioner. Wen received his masters degree in acupuncture and Tuina at the university of HUCM in China. 28 years of versatile experience in acupuncture and Tuina therapy in both China and Canada. Wen specializes in treating chronic muscle injuries (including neck, shoulder, back, knee, ankle, heel pain and etc. ), gastrointestinal disorders, reproductive system illness, allergic sinusitis, weight loss, insomnia, facial paralysis and etc. Wen combines both acupuncture and Tuina therapy in his therapeutic sessions to help a great number of clients get back to active life. Shelley is a Registered Acupuncturist in good standing with the College of Traditional Chinese Medicine Practitioners and Acupuncturists of Ontario. 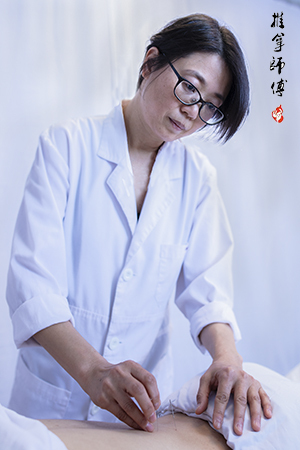 She graduated from Toronto School of Traditional Chinese Medicine with a Diploma of Acupuncture. Her clinical training included pain syndromes and internal/external/gynecological medicine. Additional to traditional Chinese acupuncture treatment, she applies channel theory of palpating the channels and acupoints to find out the disorders and Japanese sytle of gentle and shallow needling to reduce the pain and shock to the body. Besides, she applies moxibustion, cupping, Guasha and Tuina massage to support the body’s healing process. Shelley loves working to build people’s life force energy and restore the balance between the elements for health in body and mind. She also enjoys educating people in preventative health practices that have been practiced in Asia for centuries. Yuan is an experienced acupuncturist. He spent tons of time and money and passion in learnig this expertise. 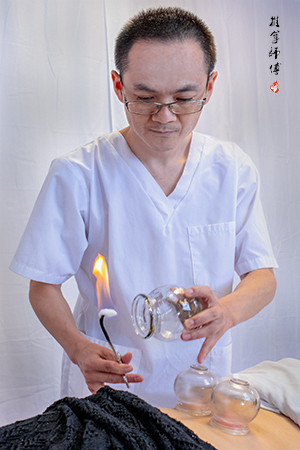 He paid expensive air tickets and tuition fees for studying back to China, in order to grasp the authentic classical acupuncture technique.He also has extensive experience in Traditional Tuina Therap. He masters techniques of rolling, kneading, tapotement and can penetrate deeply into tight muscle layers. Registered Massage Therapist and Registered Acupuncturist. Kevin received his Bachelor degree in Medical Science from China Medical University. He later becomes Registered Massage therapist and registered acupuncturist after pursuing further education in Canada. Kevin is a very knowledgeable and responsible therapist, who has extensive medical background and experience with variety of conditions. 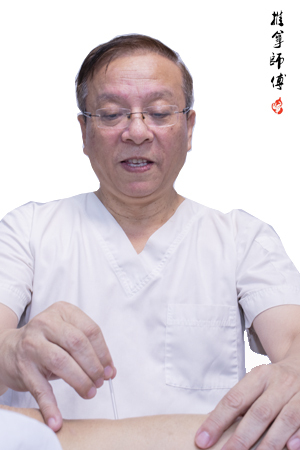 He is able to integrate acupuncture, moxibustion, guasha and cupping from Chinese Medicine Therapy with Tuina, Swedish, reflexology therapy into his treatments. Kevin specializes in treating conditions related to internal medicine and musculoskeletal injuries. He can effectively relieve muscle tension, muscle strain/sprain/spasm, common overuse injuries, insomnia, lack of appetite, dysmenorrhea and so on. Kevin often combines acupuncture and tuina massage to maximize the benefit of his treatment to help client achieve the treatment goal, and gradually eliminate symtoms for long term. Kevin is a true doctor in heart, and is willing to invest all his learnings and skills into helping his clients. Registered Traditional Chinese medicine practitioner and Acupuncturist, Registered Massage Therapist and Manual Osteopathic Practitioner. Youling received her Bachelor’s degree in Chinese Medicine and Acupuncture from Fujian University of Traditional Chinese Medicine in 2008. Also she graduated from Rmt school -Kikkawa college with top grades in 2016. Specialized in providing Acupuncture, Moxibustion, Guasha, Cupping, Tuina massage, sports massage, Thai massage, reflexology, Swedish massage. She is experienced with variety of conditions related to muscle injuries and internal medicine. She has gained a very honorable reputation by successfully restoring client’s internal health and muscle health. licensed Acupuncturist and TCM Practitioner, most interested in treating pain, as well as gynecological disorders, and digestive disorders. I employ different modalities including acupuncture, cupping, scrapping (or Gua Sha), Tuina massage, and herbs to help my patients get better as soon as possible. Before my acupuncture and TCM training, I studied at the University of Toronto and received my H.B.Sc. in Human Biology. I then received my M.Sc. from McGill University for Biotechnology. I studied at the Toronto School of Traditional Chinese Medicine (TSTCM), and received my Acupuncture, TCM, and Advanced diploma from there. I have more than 5 years of experience of acupuncture, and 4 years of Chinese herbology experience. I have been teaching at two of Toronto’s largest acupuncture schools for 5 years; TSTCM and the Acupuncture and Integrative Medicine Academy (AIM Academy) (formerly the Shiatsu School of Canada). Last year, I became the director of both the Acupuncture and Herbology programs at AIM Academy, and helped the school achieve one of the highest passing rates for the Pan-Canadian exam in Ontario. Rebecca is a registered acupuncturist, holds a master degree concentrating on acupuncture therapy. 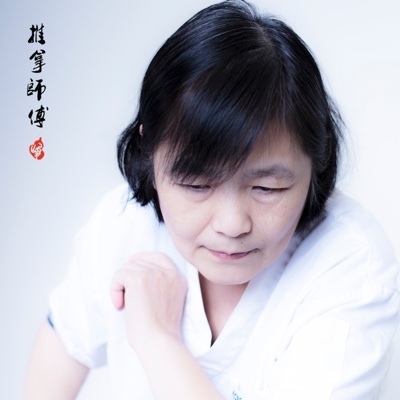 She is able to perform: needling, blood-letting, cupping, guasha and moxibustion and tuina therapy. Good at treating various musculoskeletal conditions and experienced in internal medicine. common conditions sucessfully treated by Lu include: menstrual problems, pain pathology, etc. Registered Acupuncturist (R.Ac), has over 25 years of experience in acupuncture and massage therapy in North America. Jenny was born in a family of Chinese medicine doctors. Throughout her early years of learning, she is greatly influenced by both her father and uncle. Jenny started learning acupuncture and Chinese medicine at a very young age, giving her a very solid understanding of both internal medicine and acupuncture. Jenny is especially good at treating sciatica and Chronic overuse muscle injuries of the lower back. Her acupuncture session can effectively relax the muscle, and eventually eliminate signs and symptoms of the given conditions. Jenny also performs facial acupuncture (benefit: face lifting, soften signs of aging, relax facial muscle, TMJ), weight loss sessions, moxibustions, cupping, guasha and Tuina Massage sessions. Jenny is able to treat both chronic and acute muscle injuries, insomnia, digestive diseases, dysmenorrheal and many other common conditions. Peter joined Osteo Tuina Inc back in 2013, over the years of working at Osteo Tuina Inc, Peter has helped numerous clients with his excellent massage therapy. Conditions include chronic/acute muscle conditions, sports injuries, prenatal sessions and so on. His firm and deep pressure massage style can target tight structures directly, and reallign existing scar tissue to help clients restore muscle tone and increase joint mobility overtime. He also includes joint mobilization and stretch techniques to further relax the muscle towards the end of massage treatment after trigger point therapy. Clients always feel relaxed after receiving a massage treatment from Peter. Jimmy obtained his massage knowledge from his grandfather, who was an imperial physician in Qing dynasty. Jimmy (Changcheng) practiced as a “Bare feet Doctor” for quite a few years in China after he got his Bachelor Degree of Medical Science in Huachiao University. He has been interested in combining the eastern ancient therapy and western technology to improve the health care treatment. After he had got his M.Sc. Degree at Guangxi University and M.A. Degree at York University, he managed to achieve massage diploma to further highlight his academic credentials. He became an RMT and RTCMP after immigrating to Canada, and start his life long journey as a health care practitioner. As an RMT, He is capable of practicing Chinese Tuina, Swedish massage, Thai Massage, Reflexology and Japanese Shiatsu. 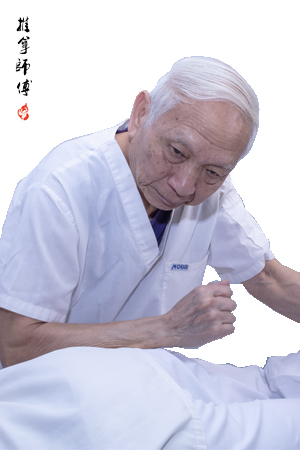 During his treatment sessions, he actively applies acupressure point technique based on TCM theory and massage technique to treat targeted problems. Jimmy is familiar with variety of conditions include both systematic and muscleskeletal. After completing a Bachelor of Business Administration degree in the Guelph University, Michael started his own business which gave him excellent client’s care and customer communication experiences. After years of exploring he decided to start his life-long career in healthcare, which led him to become a registered massage therapist today. He combines both general and specific massage techniques from Swedish massage, sports massage, Shiatsu and Tuina to offer client a customized treatment and help relieve both chronic and acute conditions including muscle spasm, muscle strain , ligament sprain, muscle tension and sports injuries. Michael works to educate and encourage his clients to be proactive in improving their health and wellness. He is passionate about Meridian Massage, stimulating the acupressure points using various techniques to help client clear any blockage and balance the flow of blood in the meridians. Michael is continuing to expand his toolkit in massage therapy and is interested in integrating cupping and acupuncture into his practice in the future. In his spare time, he enjoys family backpacked travel through southern China and active in table tennis, swimming and hiking. 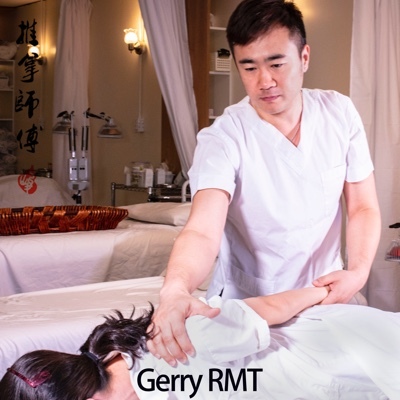 Gerry Chen, Registered Massage Therapist in Ontario. Graduated with outstanding performance at massage therapy program in Pharma Medical Science College of Canada (PMCC). His major practice is focusing on sports injury, post surgery rehabilitation and chronic pain management. Experienced in treating tension headache, frozen shoulder, sciatica, piriformis syndrome, calf muscle tightness and other soft tissue and joints disfunction. Shelley, Register Massage Therapist, obtained medical and health educations in Acupuncture diploma program from College of Traditional Chinese Medicine & Pharmacology Canada, and Massage Therapist diploma program from Royal Institute of Science and Management. Her massage style is precisely and client concern oriented, integrating several deep tissue massage modalities, such as Tui Na (Chinese traditional massage technique), Meridian channel invigoration therapy, Joint Mobilization and Thai stretching technique. Her treatments can help you relieve from muscle strains by trauma, chronic body tension from overuse or poor posture, chronic headache or migraine, degenerate joint pain, even pareasthesia on your hypochondriac or limbs. You also can get benefits from her Meridian channel invigoration therapy if you are suffering from dysmenorrhea, insomnia or boring muscle pain from Fibromyalgia or MS.
Delia, Registered Massage Therapist, uses massage therapy as an essential support for the clinically oriented health care option that helps alleviate the discomfort associated with everyday and occupational stresses, muscular overuses and many chronic pain conditions. 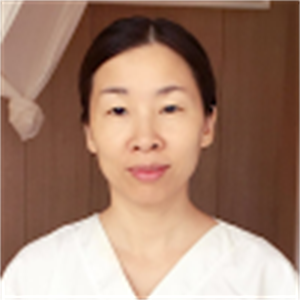 In addition to Swedish massage , Tuina massage, she also practices Guasha, Cupping, Acupressure points and Abdominal massage. Her hands on sessions combine light massage techniques and deep tissue techniques with multi styles. Sessions are always customized to fit the client’s needs and tolerances. Registered Massage Therapist. Jacky graduated from I.C.A.T with diploma in Massage Therapy. He was born in a Chinese doctor family and has developed interests on Traditional Chinese Medicine and healthcare since high school. Over the years, Jacky has practiced and studied in Chinese hospital. This experience granted him solid understanding on treating disc herniation and lower back pain. With his knowledge in physiology and anatomy, his practice include tuina, swedish massage, deep tissue that can effectively treat pain and discomfort caused by acute or chronic injury. During his childhood, Jacky also established his interested in “I Ching” and “Plum Blossom Numerology” (the ancient knowledge of Chinese fortune telling) and has been actively practicing since then. Combining with his rich experience of QiGong and fortune telling, his practice doesn’t only include traditional massage but also QiGong tuina and numerology massage based on clients’ need. By performing this technique, Jacky can restore or enhance the universal energy, Qi, inside the body or even increase client’s luck towards specific event. Lili has helped numerous clients with his excellent massage therapy. Conditions include chronic/acute muscle conditions, sports injuries, prenatal sessions and so on. His firm and deep pressure massage style can target tight structures directly, and reallign existing scar tissue to help clients restore muscle tone and increase joint mobility overtime. She also includes joint mobilization and stretch techniques to further relax the muscle towards the end of massage treatment after trigger point therapy. Bob Geng, registered massage therapist joined our clinic recently in August 2018. He is an experienced therapist with many years of experience in the field of massage therapy. He specializes in modalities such as Tuina Massage, Swedish Massage, Reflexology treatments and so on. Bob interacts with clients in a friendly and professional manner. He would listen to client’s requests and perform assessment to find out treatment goals. He also recommends remedial exercises such as stretches and hydrotherapy that clients can easily perform at home. During his treatment, he is able to perform a wide range of techniques to make sure particular technique used is suitable for the individual. He receives consistent feedback with high client satisfactions through skillful and friendly service. With his excellent proficiency in treating variety of muscle injuries, he is able to help and guide clients toward speedy recovery. In his spare time, Bob Geng always takes continuing education workshops to continuously upgrading his knowledge and skills. Gabriel is a Registered Massage Therapist graduated from College of traditional Chinese Medicine and Pharmacology Canada with diploma in Massage Therapist. He has experience in dealing with a wide variety of complaints, from every day aches and pains to the more complicated issues of sport injuries, headaches, neck and shoulder pain, back pain and various other conditions. Gabriel main priority is his patients needs where he will utilize skills and knowledge to create an effective treatment plan which is most beneficial to the patient. He has treated many patients from all age groups and with the use of his knowledge, he can help optimize his patient’s health and achieve their goals. Tom is a warm-hearted and aspirant person. He believes an old saying “A good healer is a good parent”. The pleased thing for him is to improve the client’s conditionate began studied Chinese massage and Thai massage at china 10 years ago. When he moved to Canada, he studied Swedish massage at royal institute and pharma medical institute from 2015. Also he took an osteopathic course at that time. He got license of massage therapy and osteopathy. Tom is good at using multiple technique (mix Chinese ruination massage and Swedish massage) to treat kinds of soft tissue problem and joint restriction, expecialize at treating tension headache, stiffness neck, shoulder pain, back pain and lumber region pain. prepare for a range of cisco certification exams, including ccent, ccna, ccda, ccnp, ccdp, ccie and ccde. 640-816 exam new updated microsoft questions from examcollection - success guaranteed. daily updates of microsoft vce exam files by community. share microsoft vce file. 010-151 dctech exam cost becoming aws certified helps individuals gain credibility for their aws expertise and enables organizations to identify the skilled professionals to lead it initiatives. acmp exam use technology-based practices and a systematic itil-compliant approach to perform network troubleshooting. 70-532 exam dumps download the latest 300-135 exam questions and answers 300-135 pdf files to pass the cisco 300-135 ccnp routing and switching exam. 300-206 senss dumps now download (click) the corresponding marking scheme.